At Humming Bird Dental Studio, we recommend dental crowns for clients with weak teeth that need to be held together, a missing tooth that requires a crown or teeth that are extremely discolored. We also offer tooth crowns for cosmetic purposes. A lot of work goes into creating the ideal smile for your face. Sometimes you may need a combination of more than one procedure to achieve the look that you desire. Our dentist will walk with you every step of the way guiding on the various options available for your particular dental needs. Ceramic dental crowns blend great with the natural color of the other teeth. Ceramic crowns are made of porcelain based material and we often use these for front teeth crown replacement. Sometimes we use porcelain-fused to metal for a stronger bond than the regular porcelain crown. This type of dental crown is extremely durable. Besides ceramic, we can also use alloys such as gold alloys and base metal alloys to create dental crowns. These alloys are preferable due to their high resistance to corrosion and they do not require much of the healthy tooth removed before fitting. We can install dental crowns at our dentist office in two separate visits. The first visit is for the dentist to examine the affected teeth and ensure they can hold the dental crown. In case the tooth is too small or weak to hold the crown, we advise for extraction and dental implants to hold the crown in place. If the tooth is not too damaged, we can do a simple filling to make the tooth strong enough to receive the crown. When it comes to dental crown installation, we ensure to file and fill the teeth to the proper shape in order to get the correct impression of the teeth for making the crowns in the dental lab. We will give your tooth a temporary dental crown to protect it before the next visit when the dentist fits the permanent crown on. Installing the permanent dental crown does not require a long recovery period. It only takes some getting used to before the new crown feels natural in your mouth. Many factors go into choosing the best tooth crown and cap type. Porcelain crown sealability depends greatly on the health of the underlying tooth. They also wear down faster than other crowns but they can match the natural tooth colors the closest. The other types of dental crowns provide good seals. 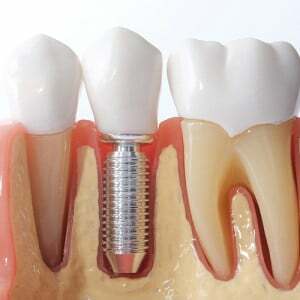 Gold and metal alloy crowns are very durable and many people prefer them for their esthetic value. Dental crowns can last a lifetime through proper maintenance.